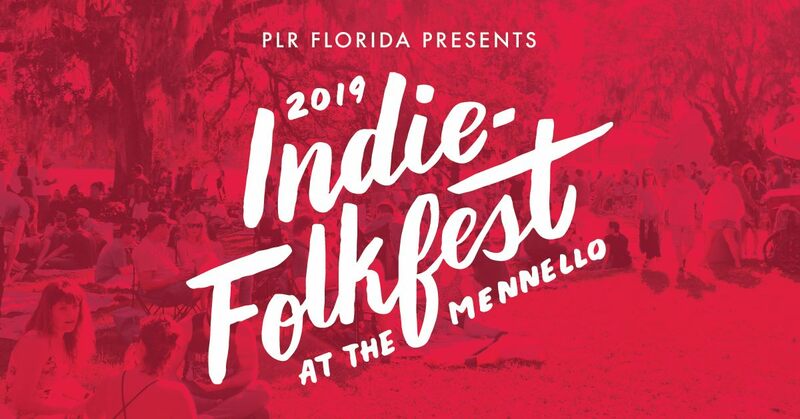 Get ready for the 5th annual Indie-Folkfest presented by PLR Florida at The Mennello Museum of American Art! This annual FREE family-and pet-friendly event takes place on February 16, 2019, from 12 to 5 p.m. The Mennello Museum is excited to bring the community together again in our lakeside sculpture garden to showcase local, national and regional art, music and culinary talent. Our 2019 festival promises to be the biggest yet! This past February, we welcomed over 5,000 guests to the museum grounds for Indie-Folkfest 2018. Guests enjoyed beautiful weather, local music, food, beverages, and art. Interested in becoming a sponsor, vendor, artist or volunteer? Visit www.mennellomuseum.org/iff. All applications are due by Dec. 31, 2018. Throughout the afternoon participate in raffles and live auctions featuring gifts generously donated by local businesses. Don’t forget to bring the kids! There will be an art project station and a communal fence painting zone for young ones and the young at heart. Festive live music will soundtrack the afternoon. And, don't miss your opportunity to snag a limited-edition Indie-Folkfest 2019 t-shirt and poster featuring artwork by a local artist — announcement coming soon!